Empower yourself with mindful strategies for positive well-being from the Jewish mystics. 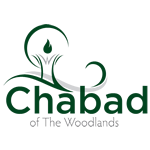 Join Chabad for Shabbat Morning Services. Light Kiddush follows the service. Sponsor a Kiddush for a Yartzeit/family occasion. In Crime and Consequence, we explore 3000 years of Jewish wisdom concerning criminal convictions, sentencing, crime prevention, and rehabilitation. We challenge our thinking, pondering the application of Talmudic principles to real and complex, modern-day cases. An evening of dessert and tea featuring a workshop on essential oils presented by Mrs. Lisa Cohen.